NEW DELHI: Fugitive businessman Vijay Mallya on Monday landed up at a 'charity dinner' organised by Virat Kohli's foundation but the national cricket team including the skipper maintained a safe distance from him. In fact, Mallya's presence forced the Indian team to leave early in order to avoid any controversy. Mallya, had earlier watched the India's match against Pakistan at the Edgbaston on Sunday. He has currently taken refuge in England. The Indian government is trying for Mallya's extradition from UK for alleged unpaid debts to the tune of Rs 9000 crore. 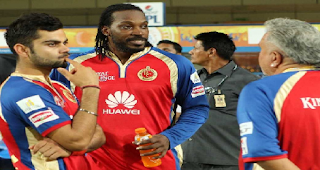 Incidentally, Mallya used to own Royal Challengers Bangalore, an IPL franchise which is captained by Kohli. A BCCI source present at the event confirmed that Kohli and the Indian team were "uncomfortable" due to Mallya's presence. "Look, Virat or his foundation never invited Mallya at the function. But normally what happens at the charity dinner is that someone who has bought a table is entitled to invite his guests. Similarly, someone who bought a table must have invited him," a top BCCI source present at the function said. "The Indian team wasn't comfortable and they maintained a dignified distance from Mallya. Mallya's presence is one of the reason that team left early. The players were very uncomfortable. It was an unavoidable situation as one couldn't have possibly asked him to leave," the source said. Virat Kohli maintained a dignified distance from Vijay Mallya at a 'charity dinner' In fact, Mallya's presence forced the Indian team to leave early in order to avoid any controversy. Mallya, had earlier watched the India's match against Pakistan at the Edgbaston on Sunday. He has currently taken refuge in England.